Speaking exclusively with RT, the Iranian President has pointed out that the 21st century is about knowledge, while nukes are the means of the past. He also discussed the “Arab Spring” and Iran’s place in international relations. ­Speaking of Iran’s stance on the “Arab Spring”, the President of the Islamic Republic believes that these events reflect problems that go far beyond the needs of the people of the region. “It is not only the people in the region but the entire global community is not satisfied with the current status in the world,” he said. "The current situation in the world is not fair. There are class distinctions, there are pressures, there are conflicts, armed conflicts, and a large number of nations in the world are being humiliated all the time. Today justice and dignity are among the requirements of all human beings. All nations are seeking to gain justice and nations in our region and North Africa have the same aspirations; and I think that nations in North Africa and our region have the ability to run their own countries and they have the ability to reach their goals and objectives." Instead, Ahmadinejad continued, the SC “hastily issued the resolution,” which has complicated the situation and led to numerous deaths among the civilian population. ­Iran’s human rights situation has been a long-standing issue for international organizations, including the United Nations. 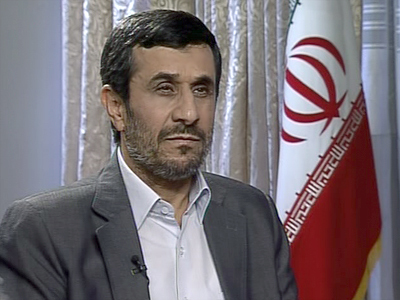 However, Mahmoud Ahmadinejad dismisses all criticism. 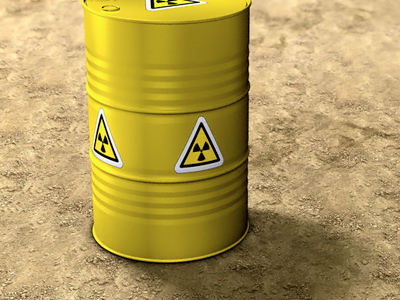 ­Recently, Iran has stepped up construction works on a new set of centrifuges to produce highly enriched uranium. 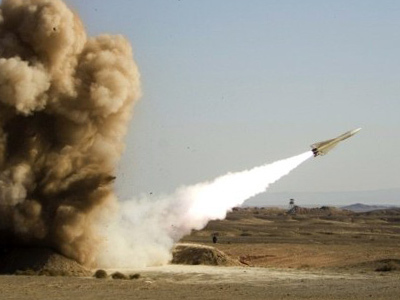 The West describes it as a “provocative act.” However, the Iranian leader insists that his country’s ultimate objective is to develop peaceful nuclear energy, while nuclear weapons are prohibited by Islam. Anyway, it is the means of the past century, he added. The President of Iran insists that no country possessing nuclear weapons has benefited from it. “There have been no documents against Iran from the agency. It is just a claim by the US that we are after nuclear weapons. But they have no evidence that Iran is diverting resources to that purpose." ­The Iranian leader considers the possibility of the US and Israel launching a military campaign against his country real, but Iran, he says, is prepared. 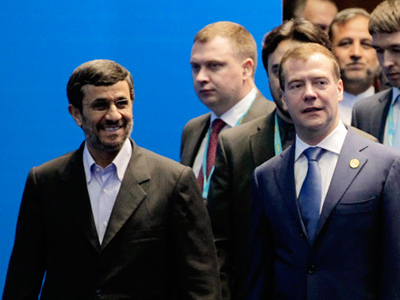 Despite the recent announcement by Iranian authorities of a financial dispute with the Russian Federation over the construction of a nuclear power plant in Bushehr, the Iranian leader insists that he is not aware of any disagreements. said the Iranian president, adding that the plant is expected to be fully operational by the end of this year. Russia’s taking part in constructing the nuclear plant in Bushehr not only marks the good relations between the two countries, but also signals to the world community Iran’s intensions to build nothing but a nuclear power plant, Mahmoud Ahmadinejad told RT’s Kevin Owen. 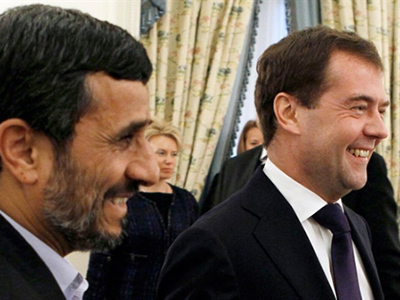 ­With presidential elections coming up in 2013, RT asked President Mahmoud Ahmadinejad of his plans, as this is the second, meaning the final, term of presidency for the Iranian leader. 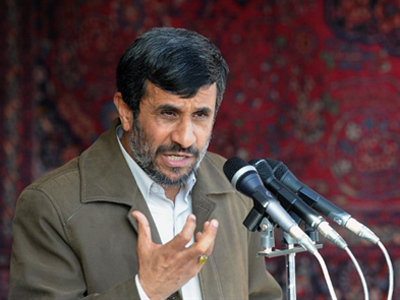 President Ahmadinejad replied he is not going to be idle after the elections. “I am a university professor and I have kept this job and profession, and I will continue to serve the nation anywhere and at the university. There will be no problem,” he said.